Published in 1992 by Fireside Books, Biomarkers was written by William J. Evans, PH.D, and Irwin H. Rosenberg, M.D. If you’re interested in staying active, fit and independent into super old age, then buy a copy of this groundbreaking book. Biomarkers is based on a study by the Tufts University Medical School, and is one of the most important books ever published about the positive effects of exercise on the human body. Based on medically proven research, the authors reveal that frailty and chronic disease are not caused by aging, but by inactivity and poor nutrition. With that in mind, both young and old are given hope that remaining vital and healthy is a reality, no matter your chronological age. 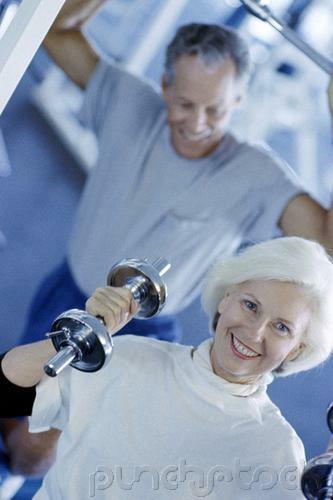 Posted on August 20, 2013, in Aging, Recommended Products and tagged aging and exercise, Biomarkers, disease prevention exercise, tufts university. Bookmark the permalink. Leave a comment.